Have you seen this new cream from Kiehl's? 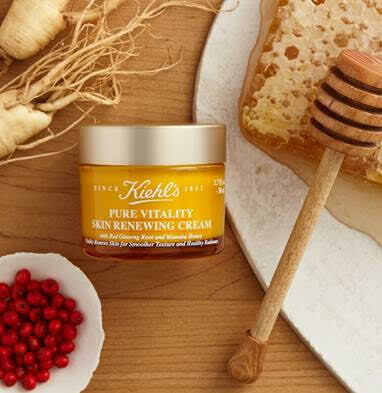 Introducing Kiehl's NEW Pure Vitality Skin Renewing Cream! This cream is 99.6% naturally derived. It's key ingredients are Manuka Honey (strengthens skin barrier to smooth fine lines) from New Zealand and Red Ginseng Root from Korea (accelerates cell renewal for a vibrant glow). Kiehl’s is the first in skincare to combine these two powerhouse ingredients in one formula. This cream works to smooth your skin's texture, renew an overall radiance to your skin, and to strengthen your skin's barrier funtion. 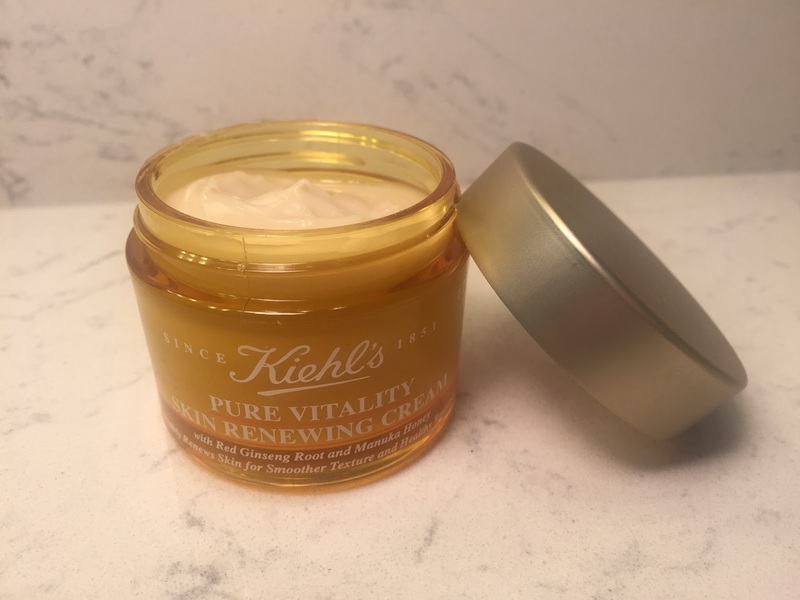 Kiehl’s Pure Vitality Skin Renewing Cream was formulated with the goal of helping skin work optimally to look its healthiest. Healthy-looking skin is characterized by radiance and vibrancy, smooth, supple texture and it can be defined by a capacity to resist and recover from damage. Over time, skin naturally becomes less able to resist and recover and youthful vitality is diminished. ingredients that had a known ability to increase skin’s resistance and recovery from damage. This led them to source two of the world’s most powerful traditional medicine ingredients directly from nature: New Zealand Manuka honey and Korean red ginseng root. Kiehl's Pure Vitality Skin Renewing cream retails for $60.00 for a 2.5 oz jar. I really enjoy using this cream! The cream is very rich. The texture is a bit tacky at first. However, you just need to give it time to absorb and sink into the skin. Once it does, it leaves you feeling non-greasy. It immediately plumps up my skin and hydrates it. It leaves me feeling smooth and moisturized. I like using this cream at night since it is so rich. I think that this cream would work best for normal and normal-to-dry skin types. I think it is a perfect Winter skincare cream for my combination skin (however, I do think it might be too rich for me in the Summer when my skin is less dry). If you are looking for a super hydrating natural face cream, be sure to check this out! I really do enjoy using it! 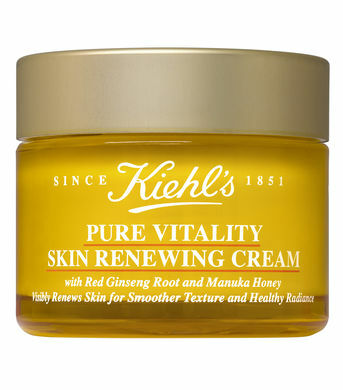 Plus, if you stop by a Kiehl's store, you can get a complimentary 7-day trial of the Pure Vitality Skin Renewing Cream!